We have a range of weights for you holiday decorating needs! Great for so many uses from photo props, store displays, crafts projects to festive home ideas! Depending on how thick you want your snow it will increase or decrease the square footage. 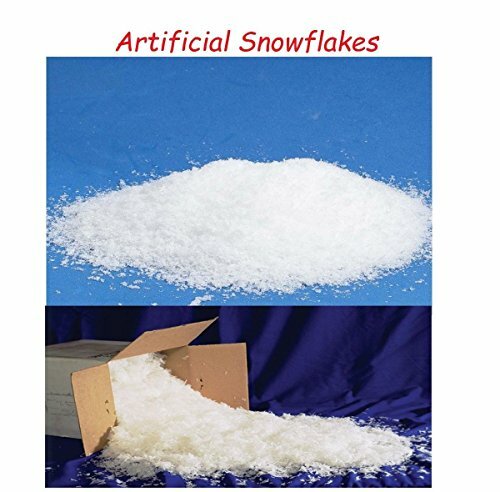 Non-sticky high-quality artificial snowflakes; Great for so many uses from photo props, store displays, crafts projects to festive home ideas! Around 7 oz will cover a full layer (not thick) of 1 square foot ( 12" x 12") Depending on how thick you want your snow it will increase or decrease the square footage. If you have any questions about this product by Bookishbunny, contact us by completing and submitting the form below. If you are looking for a specif part number, please include it with your message.